New research from Indiana University has identified "hotspots" in DNA where the risk for genetic mutations is significantly elevated. The IU-led research, conducted in E. coli, appears in two papers in the "Highlights" section of the August issue of the journal Genetics. 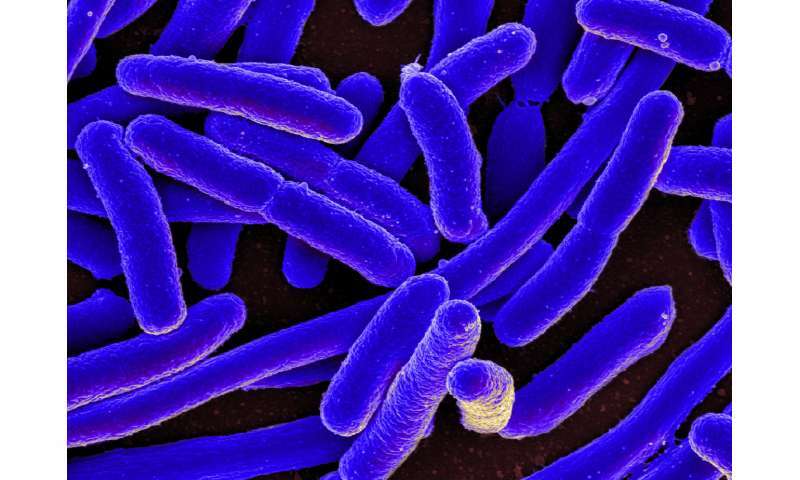 The "hotspots" identified are specific to E. coli and related bacterium, but the work could provide a roadmap to identifying similar trouble spots in human DNA. Foster is the first author on one of the two papers. The other paper's first author is Brittany Niccum, a Ph.D. student in Foster's lab at the time of the study. These patterns of letters in the DNA sequence had been previously identified as common locations for replication errors. But Foster said the sheer volume of data in the new studies—with analysis across the bacteria's entire genome of 30,000 mutations accumulated during 250,000 generations—provide the "statistical weight" required to pinpoint the error rates with an unprecedented level of accuracy. The studies also underline the importance of two systems in DNA replication: a "proofreader" enzyme and a molecular pathway called mismatch repair. Both serve as a defense against mistakes from the enzyme—called DNA polymerase—that copies the genome at a staggering rate of 1,000 letters per second. "When we switch off these backup systems, we start to see 'pure' errors—the places where the polymerase is more likely to make a mistake without intervention from other processes, " Foster said. "Until now, I don't think anyone could truly see the seriousness of these error hotspots in DNA."